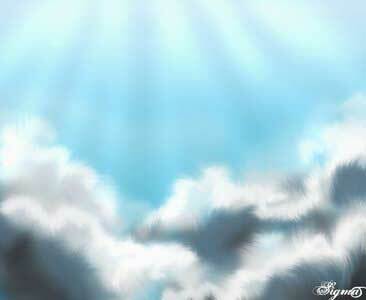 This task we’ll learn how to picture fluffy clouds and sun’s rays. Open a new file: File -> New (ctrl+n). Paint it, using the Gradient Tool. 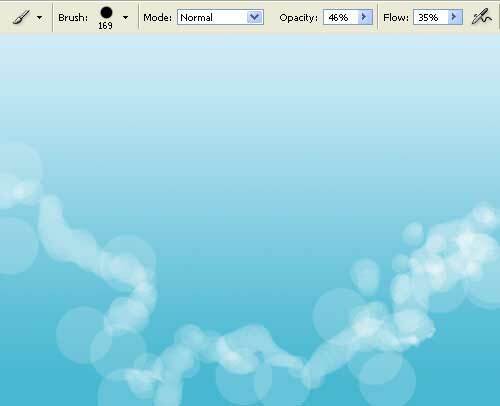 Choose now the Brush Tool and create the future cloud’s shape on a new layer. 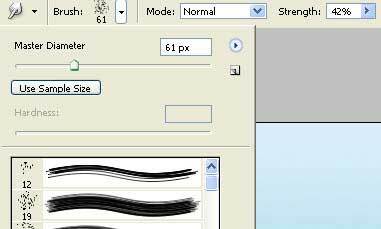 To create a new layer, just click on the rapid button on the Layers window. 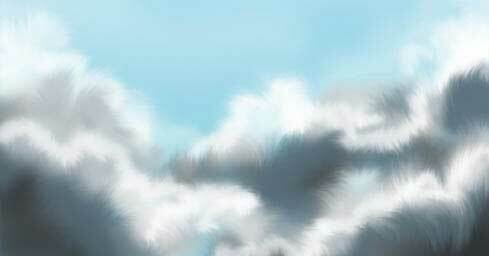 Add now more colors and volume to the clouds, changing a little the brush’s size. Copy the clouds’ layer with next combination: Layer -> Duplicate Layer. 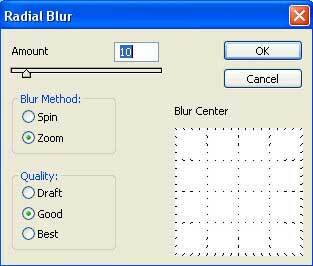 Apply also Filter -> Blur -> Gaussian Blur. Merge now the first layer with the previous one: Layer -> Merge Down (ctrl+e), applying after that Filter -> Blur -> Radial Blur. Start to colorize, setting preliminary in the brush’s adjustments Hardness on 0%. 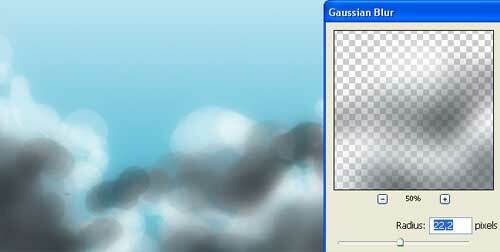 Create the effect of having fluffy clouds with the blurred circular moving. 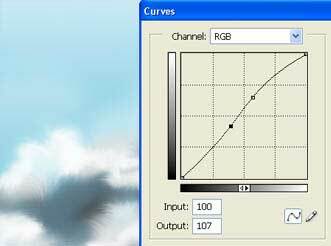 Make the clouds’ layer a little lighter, using Image -> Adjustments -> Curves (ctrl+m). Give to the background’s layer more brightness: Image -> Adjustments -> Brightness/Contrast. Using the Dodge Tool, picture the sun’s rays now.